Loyola Asset Management was founded on the philosophy that wealth is a tool meant to improve lives without controlling an individual’s actions. Inspired by this belief, our team facilitates a connection between your personal goals and financial responsibilities to give you the freedom to explore your true potential. We unite in our mission to deliver comprehensive plans and custom solutions that recognize and appreciate your unique circumstances. 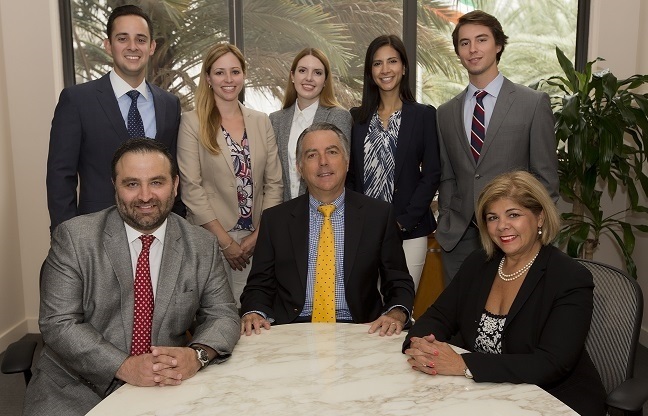 Each member of Loyola Asset Management's financial life management team contributes years of experience and specialized expertise to collectively serve you, our client. With a high standard of professional excellence, integrity is prized both in our work and outside of the office. This singular value drives our desire to establish relationships which are built on trust and sustained through loyalty. When you choose us as stewards of your wealth, you choose a team that devotes itself completely to your future. Unlike other planning firms, Loyola Asset Management’s status as a Registered Investment Advisor (RIA) provides us the ability to act in the best interests of our clients without selling unnecessary proprietary products. We see fiduciary responsibility as a passion and a purpose. Operating with aligned interests allows your aspirations and objectives to truly take center stage, as we offer the guidance and uncompromised advice you need to achieve the goals you envision and the life you deserve.